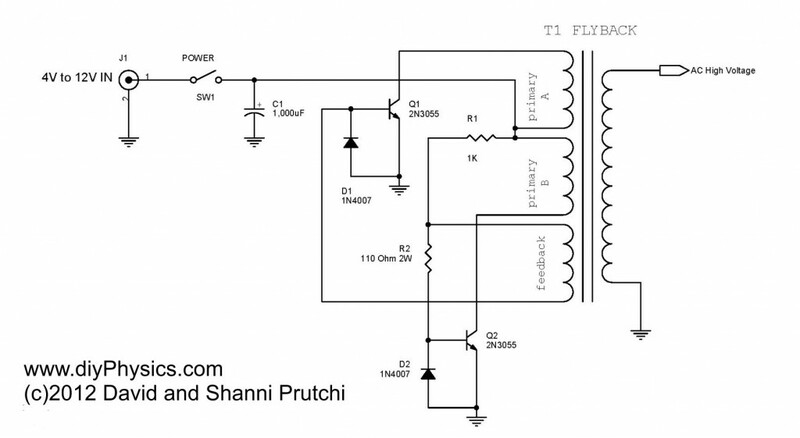 Original Source for Flyback Driver Hack? In our d.i.y. 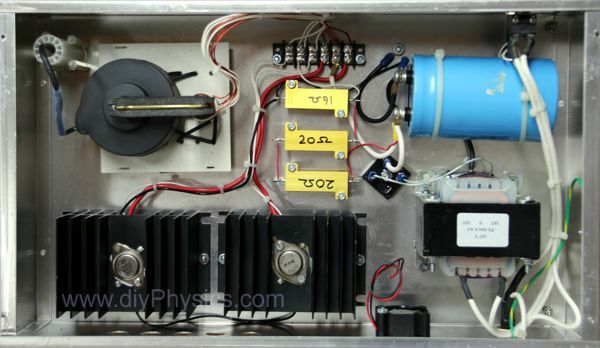 book “Exploring Quantum Physics Through Hands-On Projects” we show many ways in which this power supply can be used to perform advanced physics experiments. 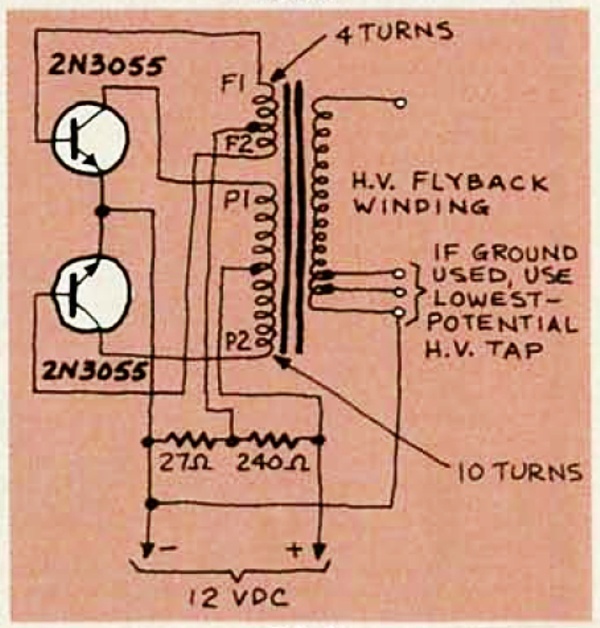 I can’t remember when I saw this hack for the first time, but last night I was going through some old Radio Electronics magazines and found the circuit described in page 78 of the September 1981 issue. However, I believe that I used this circuit earlier than that. Do you know about the original source of this hack? DANGER! Please note that this is a dangerous device! 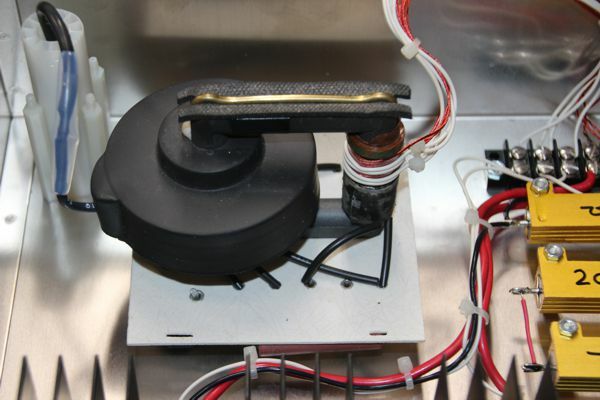 It produces high voltages which can cause very painful or lethal electrical shocks. In addition, spark discharges can be produced which can ignite flammable materials or volatile atmospheres.